Whatever the scale of your event and wherever the venue; Tents and Marquees Ltd offers the same level of service to all its customers, underpinned by a company ethos that is both professional and conscientious. For over 220 years Tents and Marquees, the premier Marquee contractor, has been providing a first class service to its customers. With an extensive range of Marquees Tents and furniture we are brilliantly placed to service all the marquee needs of agricultural shows, weddings, celebration parties, concerts, corporate and school events. We believe in forming long lasting relationships with all of our customers. 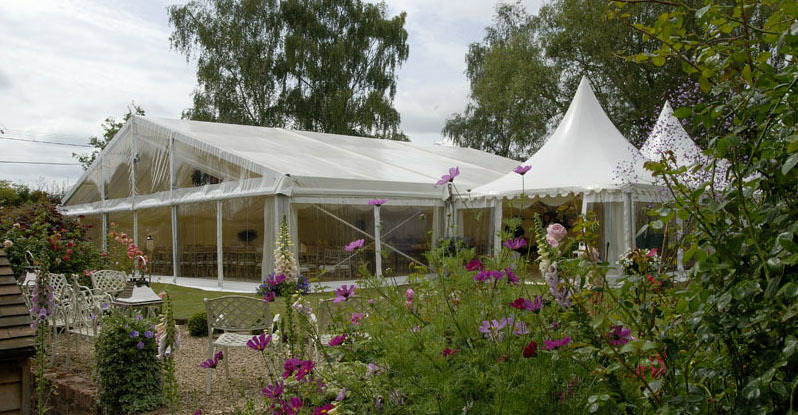 From your initial enquiry, followed by the free site visit and quotation through to the erection of the Marquee and throughout the event itself, you can be assured that we will provide a level of service difficult to beat. Our post event service is equally important, carefully and promptly removing our equipment after your function. Many thanks for supplying the tents we needed for our singing festival in July. With the summer weather we had that week they were invaluable - we almost grew webbed feet as it was! We will be in touch again for Shropshire Sings 2014! Many thanks once again. Dear Charles, Very many thanks for doing a fantastic job. I have had many compliments about the marquee and thank you so much for seeing to all the little extra touches which made it all so special.